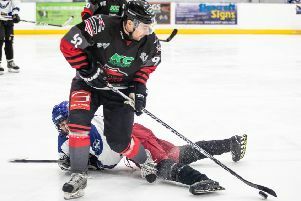 Murrayfield Racers, who last weekend were crowned Scottish National League champions, take a six-goal aggregate lead into tomorrow’s Scottish Cup semi-final second leg at Kirkcaldy Kestrels. 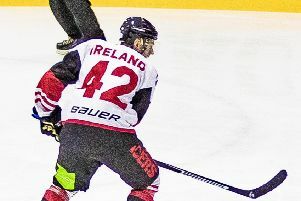 But despite the huge advantage, director of hockey Tony Hand expects a tough game in Fife as he prepares his troops for a season run-in that could see the Murrayfield men pick up a further three trophies. Racers rounded off the league season with easy wins in back-to-back fixtures against Kilmarnock Thunder and Solway Stingrays, the SNL’s two weakest teams, and will play Stingrays again next week in a winner-takes-all play-off quarter-final tie at Murrayfield. In the other five games between the two teams this season there have been two draws and a narrow 3-2 Racers win in Kirkcaldy. Hand continued: “Kirkcaldy are a good side and we’ve had a lot of tough games with them this year. I don’t care what the score is, as long as we qualify. “It will be good for us to have a hard-fought game and then have a few hard weeks of practice. After the last few weeks we’ve had we need to get back into peak condition and get our head around the fact that we have some tough games coming up.